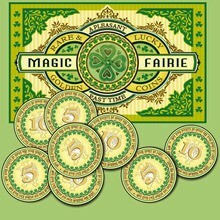 The printable St. Patrick's Day coins are fun to use during this Irish holiday. Print and cut out these lucky coins to give to all your friends to wish them a Happy St. Patrick's Day. The lucky St. Patrick's Day coins are fun to hide around the house and then have a treasure hunt with family and friends to see who can find the most coins. If you want to have fun brushing up on counting in fives and tens, the lucky coins will get you back up to speed. You could even print the lucky coin templates on sticker paper for you and your friends to wear on St. Patrick's Day. The coins can also be placed in the Leprechaun's tresure box for safe keepsake or for your treasure hunt game. Lots of lucky fun fortune to be had on this St. Patrick's Day! Don't miss all the other pot of golden fun on the Hellokids St. Patrick's Day channel. Learn to draw your own lucky leprechaun for St. Paddy's Day with easy step by step instructions or download the fun Irish gifs to your computer. Choose from a rainbow of St. Patrick's Day coloring pages that are fun to color with family and friends. 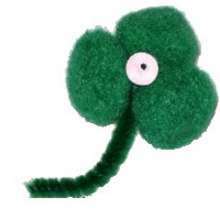 Make a St. Patrick's Day shamrock pin for all your lucky Irish friends or read interesting facts about Ireland, Saint Patrick and St. Patrick's Day celebrations on the St. Patrick's Day reading channel. You will be entertained and feel like you just found a pot of gold on the Hellokids St. Patrick's Day Channel! Go green!